Born in Newport Beach, CA, Chris Elliott has been in and around the boating industry his entire life. His mother was part owner of a yacht manufacturer and his father was a yacht broker/dealer. 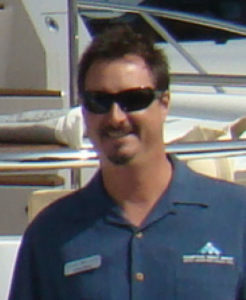 This provided Chris the opportunity to work and learn the manufacturing and sales sides of the boating industry. His mother says to this day “Chris has fiberglass in his veins”. In his 30 years active in the marine industry, Chris has represented most of the worlds finest brands. An avid fisherman and diver, he has has logged thousands of hours at the helm, Chris prides himself on finding his customers the perfect boat.